Home » Earth » Fairfield fire station closures? Fairfield fire stations to stay open | Fairfield City Champion. For the past 12 months, Fairfield, Smithfield, Cabramatta and Bonnyrigg Heights have been subject to “TOLing” — being placed “temporarily off line” (TOL) on some days. 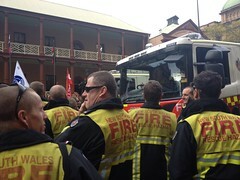 The measure was part of a state government cost-cutting measure which was a concern for the council, Fairfield state Labor MP Guy Zangari and a Fire Brigade Employees Union. At a council meeting in August, union representative Brendan Rea told councillors that being TOL was “dangerous”. 1 Comment on Fairfield fire station closures?